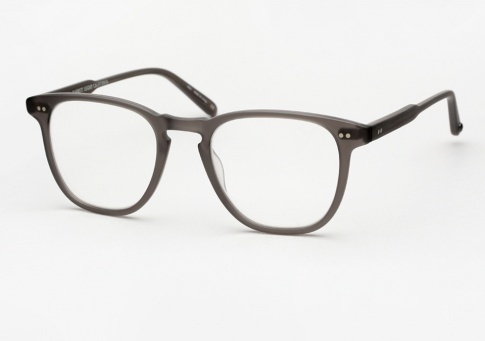 Garrett Leight Brooks - Matte Grey + Clip (Eye) Need Help? Considered to be the patriarch of the GLCO family. Brooks is a classic, perfect fitting acetate frame that is aged to perfection and withstands the test of time. Brooks is a great frame for any man or woman with a clear sense of style and taste. This special 5-year anniversary edition of the Brooks adds another layer of versatility with the addition of Garrett Leight's signature metal foldable sunglass clip. An original design that is the perfect combination of fashion and function. It is offered here in Matte Grey, with gunmetal / silver mirror clip on lenses.